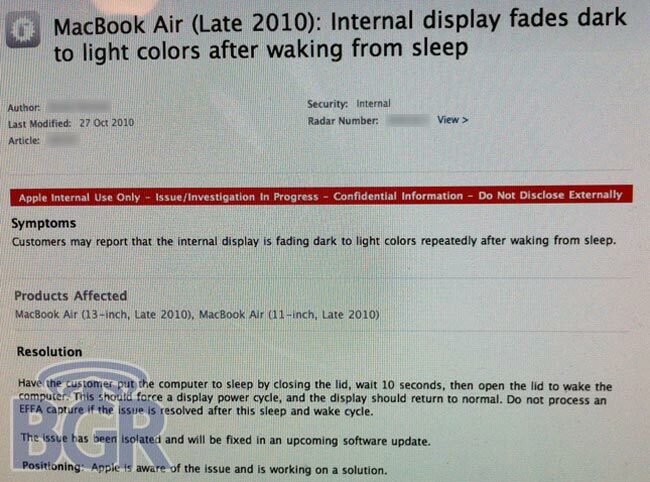 A number of early adopters who have purchased Apples new MacBook Air have experienced display issues ranging from display flickers and horizontal lines of varying colours to screens fading from light to dark repeatedly after waking. All the issues seem to be related to the systems wake and sleep functions and the leaked internal Apple support system ticket seems to suggest that a interim fix is on it way in the form of a software update. 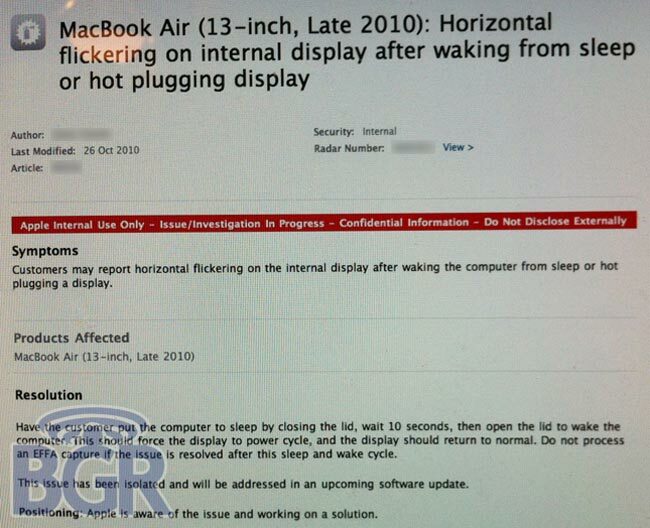 However no permanent fixes are available at this time for the Macbook Air’s display issues. Apple has instructed its employees to state that the company is aware of these issues and is working on solutions.